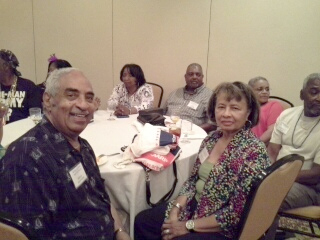 On June 27-29, 2014, the West End High School Alumni attended their 17th School Reunion at the Holiday Inn in College Park, MD. This year’s theme was Preparing Today’s Youth for Tomorrow’s Challenges. The Metropolis Chapter jump-started the celebration with a Mardi Gras meet and greet theme on Friday evening. 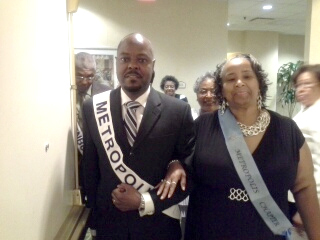 It was a fun filled evening as Metropolis Chapter President Percy Williams (Bluestone ’70) took a walk down memory lane as he reminded some 70+ participants of notable events that took place in 1964. 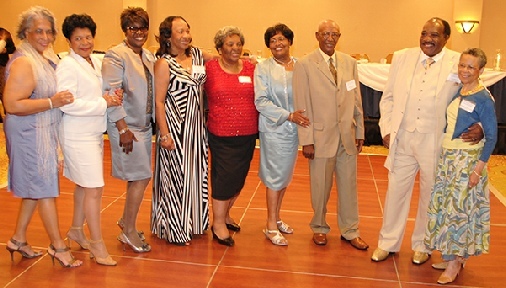 The WEHS class of 1964 was honored as the attending alumni celebrated its 50th class anniversary. Mr. Percy White and his wife Mrs. Margaret Saunders White (WEHS ’66 & ‘67) of Chase City, VA won the challenge of best dressed mardi gras participants. 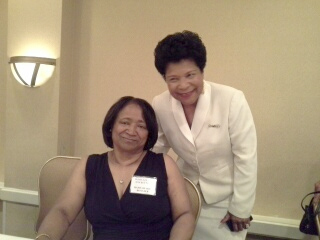 On Saturday morning, there was a prayer breakfast event with Mistress of Ceremonies Evelyn Fuller Jordan (WEHS ’61). After an enjoyable liturgical selection by Mrs. LaToya Fewell Rosser (Central Baptist Church), the group enjoyed a warm and scrumptious meal. More blessings flowed as Mrs. Stella Cole Hall (WEHS ’66) introduced dynamic guest speaker Reverend Justin Williams (Rehoboth Baptist Church). 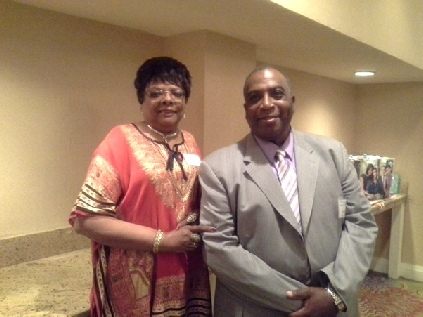 Reverend Williams preached from Psalms 37:25 and related his message to the “class roll”. He delivered a powerful message—Jesus was portrayed as the president of the class, Abraham and Job were portrayed as courageous and spirited classmates, and Jesus called for a class “reunion”. Later that morning, the National business meeting took place where the main focus was on making the scholarship program better than ever. Committee members were charged with bringing recommendations that would allow maximum dollars to be awarded to scholarship recipients in the future. On Saturday evening, over 110 participants attended the National Alumni Banquet Program with Master of Ceremony Charles Dennis White (WEHS ’58). Mr. Allen Reed, Sr. (WEHS ’48) gave a warm welcome to participants. 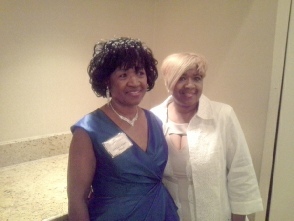 Dr. Erma Freeman (WEHS ’64) gave reflections and Mrs. Evelyn Jordan did the honors for the Class of 1964. There were 9 alumni attendees for the class. They were Mrs. Alfreda Bowers White, Dr. Erma Freeman, Mrs. Maressa Daley Kizer, Mrs. Joanne Toone Gilbert, Mrs. Audrey Farrar Clayton, Mrs. Clara Skipwith Yancey, Mr. Charles Yancey, Mr. Clyde Baptist, and Mrs. Kathryn Lancaster Pettus. Dr. Brady Johnson (Coach/Teacher) was inducted into the WEHS Sports Hall of Fame and Mr. Percy Williams presented him with a Sports Hall of Fame plaque. The 2014 scholarship recipients were Ariel Alford (Howard), Imani Bigsby (NC A&T), Eboni Copeland (Claflin), Delayné Graves (Virginia State), Leondra Graves (Virginia State), Shaquille Hardy (James Madison), Kevin Smith (Alfred), (Breana Vick (Rider), Courtney Watts (Old Dominion), Clinton Copeland (Morgan State), and Elana White (Averett). Then there was the coronation of the King and Queen. Mrs. Jean Skipwith Hargrove (WEHS ’61) announced and crowned Mr. Norman White and wife Mrs. Gloria White (WEHS ’65 and Central ’66). 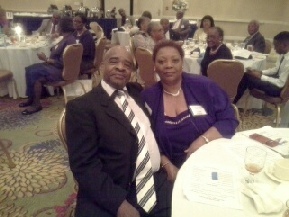 They are members of the Mecklenburg Chapter and reside in Skipwith, Virginia. Over $4600 was donated on behalf of the Whites and will be earmarked as scholarship funds. 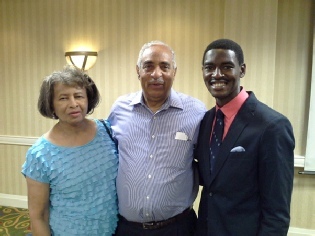 The WEHS school reunion wrapped up with Sunday worship service at the New Dawn Baptist Church in Hyattsville, MD. 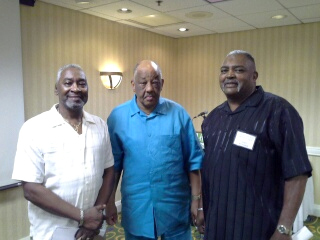 Pastor Larry Snead, Sr. preached “Go Back to Go Forward” from Scipture taken from Revelations 2:1-7. The school reunion participants seemed to enjoy all the activities during the celebration. 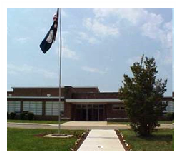 There were many expressions of delight and anticipation of the 2015 school reunion which will be hosted by the local chapter in Mecklenburg County, Virginia.